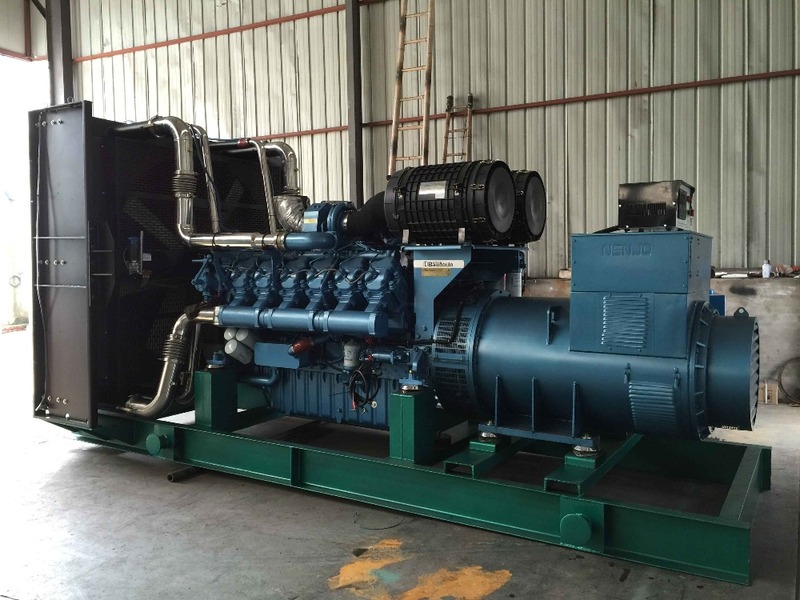 You want to know how a generator set engine works (generator)? Here we provide a review. For those of you who work with a large field of work, the use of generators would be your needs. How the generator set (generator) works is by converting the mechanical power to electricity through the electromagnetic induction process. generators are generally used in places that serve public facilities such as hospitals, conference centers, or industries that require large powered resources. In addition generators are also needed in rural areas that do not yet have access to commercially generate electricity. the generator will obtain mechanical energy derived from the prime mover. The alternating current generator (AC) is commonly known as the alternator. It is expected that these generators can supply electricity during the occurrence of unwanted interference. The supply will be used for priority load. While the generator set (generator set) is part of the generator. 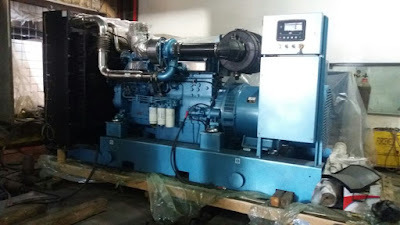 genset or generator dispensing system is an electric generator that has been composed of panels, has energy derived from diesel and there is a windmill that has been placed somewhere. 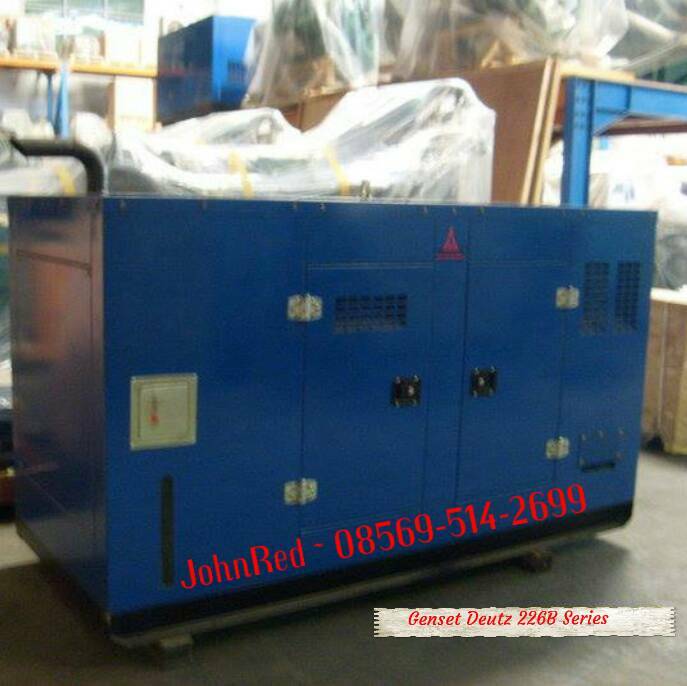 Gensets can also be used as a backup power system or as an "off-grid" (resource dependent upon user requirements). a synchronous generator (alternator) will be used in the generation process if it has been mounted into one shaft with a diesel motor. The synchronous generator consists of two main parts: the magnetic field system and the anchor. This generator has a large capacity, the magnetic field rotates because it is located on the rotor. After knowing how it works, we will review on how to fix the generator. Gensets can be damaged. Here we tell how to fix the damage that can be classified into light categories. therefore it is likely to still be repaired by the owner himself without being taken to a qualified technician. The first damage is if the genset machine can not be turned on. Commonly used battery to turn on the generator has been in a state of weakness or exhausted. the solution you can recharge the battery that has been exhausted or replace it with a new battery. There are several power cords that are in a state is not connected or there is a broken cable. The solution you have to check, if there is a disconnected cable then connect back. Engine can not you turn on. This can happen because the state of the starter motor is damaged. the solution to solve this problem is you need to do a new starter motor replacement. Engine does not want to live, you try to check the spark plugs, if the sparks have fire (burn) try to replace with new spark plugs. The second damage is if the machine suddenly died when the generator can be switched on. If there is water in the fuel tank. the solution to overcome that is you have to dispose of water on the fuel tank and at once from all the fuel tank channels that will go to the engine generator generator set. Genset that suddenly died after successfully turned on. This may occur due to the presence of a blocked portion of the fuel vents.the solution you can do to overcome them is to fix all the ventilation holes. If there is a clogged part against the fuel filter. the thing that can be done to solve the problem is you can clean all parts of the filter or replace it with new filter. The workings of this ATS generator is the same as the manual genset but there are some additions to support manual genset to ATS. The generator panel shall be equipped with a timer and on the contactor there shall be a DC power saving device to start the machine in the panel when the power from the PLN is disconnected. the generator must also be equipped with a battery to power DC on the machine panel. Receiving AC current from the main stator or additional voltage coil (PMG / aux winding) An integrated electronic component for controlling the generator output voltage; and voltage sensing of the stator coil; then process and finally remove the DC current on the stator exciter coil. can also be referred to as an instrument on the generator in the form of a module that serves to adjust the settings automatically output voltage and capacity of the installed generator. Genset works ten seconds when the power goes off, the next ten seconds of power in the switch to the generator, then the lights can turn back on. how the generator generator that provides power supply after twenty seconds is sustained by the AVR (Automatic Voltage Regulator). In AVR, there is Mutual Reactor (MT) is a kind of transformer type CT (Current Transformer) which will generate an electric current based on the amount of load current through it. in order to maintain AVR stability, the generator must be equipped with System Governor to maintain RPM stability (Rotation Power Momentum) so as to produce stable rotation frequency when present or no load. it can be done by regulating the solar supply on the generator. That's how AVR genset works. Along with the development of the era, you certainly want to also know how to work automatic generator or ATS. ATS (auto transfer switch) new popular in indonesia since year 2000-an. Previous genset users still use Auto-manual. the workings of this ATS generator is the same as the manual genset but there are some additions to support manual genset to ATS. 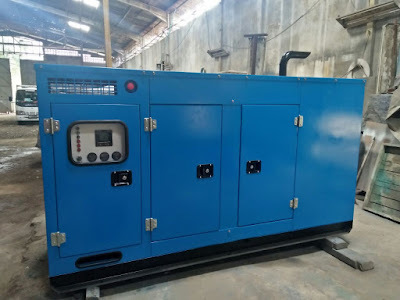 The generator panel shall be equipped with a timer and on the contactor there shall be a DC power saving device to start the machine in the panel when the power from the PLN is disconnected. the generator must also be equipped with a battery to power DC on the machine panel. Many companies such as factories, hospitals, hotels and banks use this generator set. With the ATS time difference from the moment PLN died with the life of the generator set up we can use the timer. When the power is on, an ATS automatically switches the power supply from the generator to the PLN. the generator will turn off automatically in 5 seconds. This is done without a blackout, so it does not interfere with the user's convenience. ATS can live only 5-8 seconds after PLN die. So our review of the whole workings of generator set machine (generator).